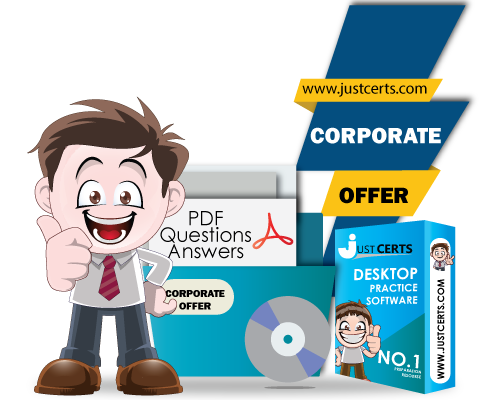 JustCerts corporate License program is best offer for trainers and Corporate Organizations; those can purchase the License keys and can share with their trainees. A trainer can make multiple accounts for their learners and can manage them though their portals. This will help a corporate/ trainers to maximize the chances of their students to pass by practicing under the actual exam scenario. JustCerts offers updated practice questions, which is knowledgeably prepared by our team of experts. Our Exam preparation questions come with 100% guarantee to pass on the first try. How Corporate / Trainer License Work?